Having recently found myself with no fewer than three (3!) 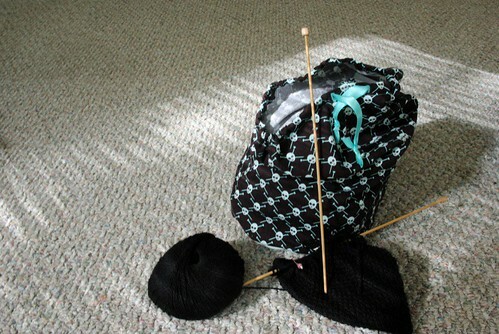 knitting projects on the needles these days, I was running out places to put them all. As regular readers and members of my knitting circle know, I am not a usually a multi-project knitter, although I think I am starting to turning into one. 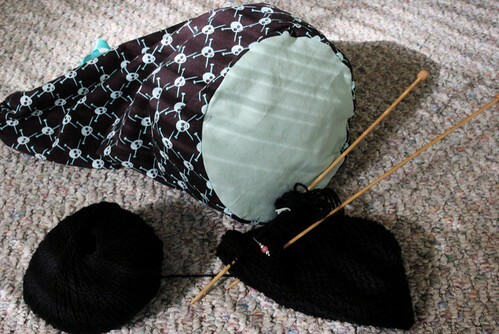 The case these days is that I'm requiring different projects for different places - largely driven my the fact that my main project is black yarn on rather small needles. It started when needed something simple for an airplane trip, then something light-colored for theatre knitting and dark restaurants for knitting group, and then I had a design idea I really wanted to work on... you get the idea. My solution to this plethora of projects? 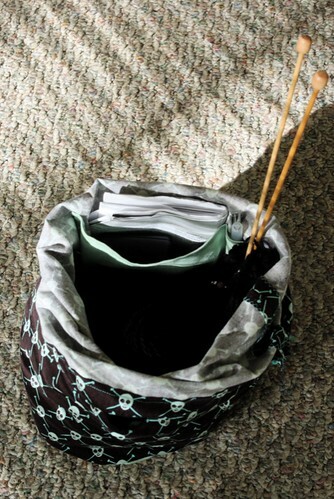 A new sweater-sized project bag! As I'm also enjoying one-day sewing projects, this worked out great. As a bonus it matches my needle roll! 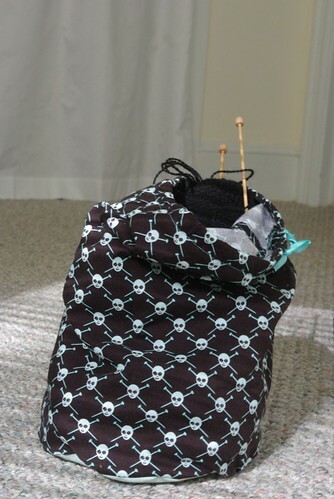 A drawstring bag is no work of sewing genius, there are a few details I added that I'd like to share. First is my fancy round bottom, which was much easier to attach than I thought it would be. 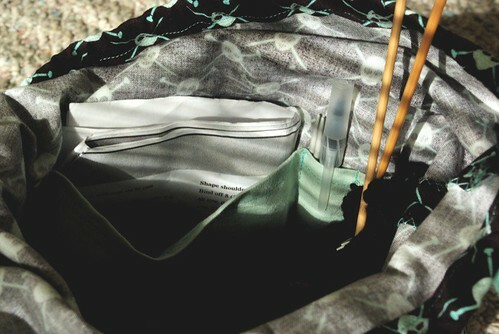 Second is my interior pocket for holding spare needles, pattern instructions, needle holders, etc. This spare storage takes it just a step above the usual project bag.